The Don & Cathy Jacobs Science Building houses centrally-scheduled classrooms, numerous chemistry and biology teaching laboratories, and office space for the Department of Chemistry, biology lecturers, and the College of Arts & Sciences Business Center. 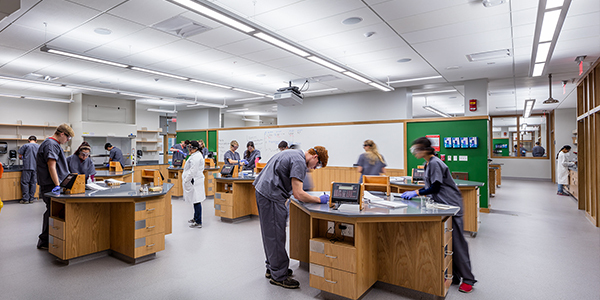 On the first floor, there is a 300-seat lecture hall; several biology teaching laboratories for physiology, general biology, and microbiology; and multiple technology enabled active learning (TEAL) classrooms; as well as a Shared Imaging Suite and Biology Learning Center. 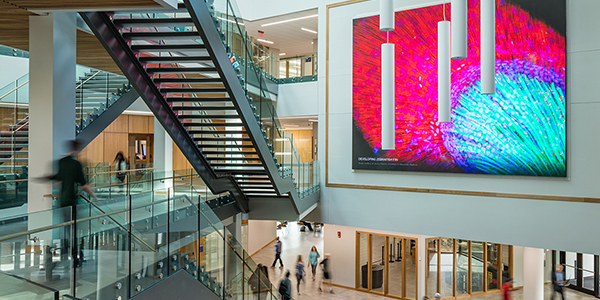 The atrium showcases the building's beautiful architecture and the 27x20 foot media wall. The high-tech laboratory space gives students access to cutting-edge equipment in a collaborative environment. The second floor houses eight general chemistry teaching laboratories, a 132-seat TEAL room, the General Chemistry Learning Center, and multiple small TEAL rooms. On the 3rd floor, there is a 200-seat lecture hall and multiple upper-level chemistry laboratories, including four organic laboratories and one each of synthetic chemistry, biochemistry, analytical chemistry, and physical chemistry/instrumental analysis. 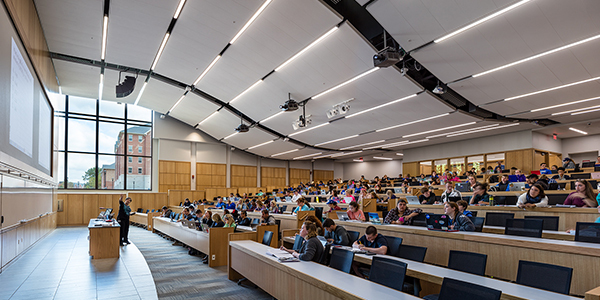 The 300-seat lecture hall is outfitted for multi-media presentations and demonstrations as well as allowing for interaction between students. 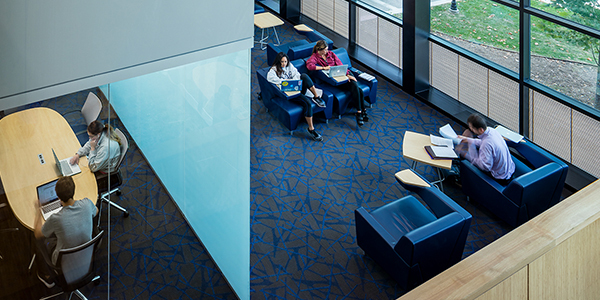 Multiple study areas are available throughout the building. The 3rd floor also houses the Organic Chemistry Learning Center and a Nuclear Magnetic Resonance (NMR) and Shared Instrumentation Suite to support all the upper-division laboratories, as well as a STEM teaching laboratory. The exterior courtyard has two outdoor classrooms and natural slate chalkboards with geological features built into the walls. All exterior landscaping contains only native Kentucky plants. Want to support state-of-the-art science instruction in Kentucky? Naming opportunities for classrooms, labs and public spaces in the new Jacobs Science Building are still available. For more information, contact Laura Sutton at (859) 257-3551 or lsutton@uky.edu.